In a relatively gun-friendly state like New Mexico, there are only a couple of laws you’ll need to be aware of to make sure you stay on the right side of the law. Purchasing a pistol in New Mexico is a pretty quick and painless process. The state does not have many laws in addition to the federal ones on buying a handgun for the most part. Even better, no permit is required to buy a handgun! If you decide to buy a handgun from a private seller, you can avoid the background check completely! On property that is under the control of your parents, grandparents, or guardian, and under that person’s supervision. 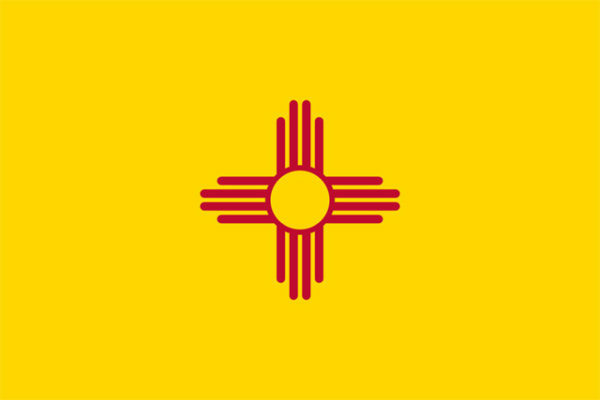 Unlike other states, New Mexico does not have specific laws on antique or replica firearms. That means all firearms are treat the same, with the purchase (and carry!) requirements that go along with them. Handguns get a lot of attention but we can’t forget about our long guns! 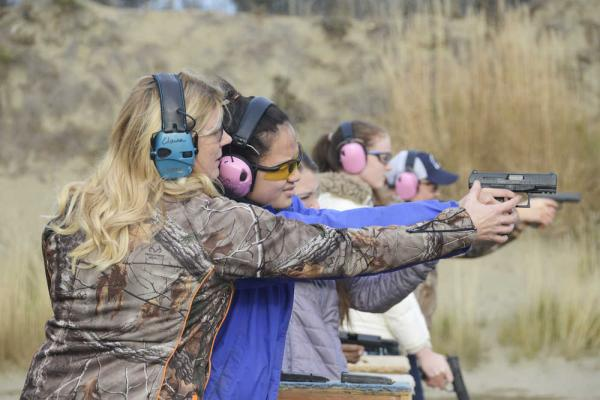 Just like with handguns, New Mexico does not require a permit for the purchase of long guns. The other requirements are little different, but actually more lenient. If you decide to buy a long gun through a private sale, you won’t have to go through a background check, the same way you could avoid one when buying a long gun from a private seller. Keep in mind too, that the same situations that would prohibit you from buying and owning a handgun apply to long guns as well. Where Can You Use Your Guns? Once you’ve got your shiny new guns, you’ll probably want to show them off! 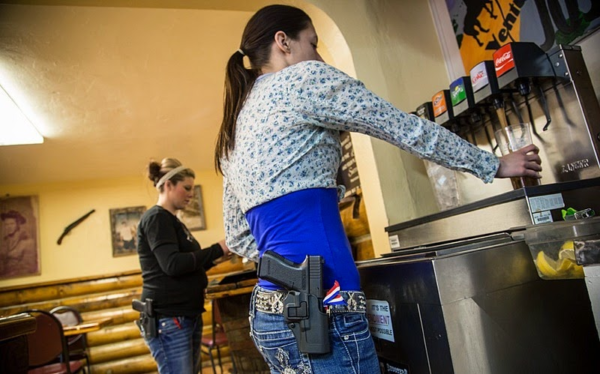 New Mexico does not require a permit for open carry of firearms. That being said, you’ll still want to be aware of your surroundings, and make sure you’re not the only one that’s open carrying, or you may get some unwanted attention. Concealed carry is a different matter, however. You cannot carry a concealed and loaded firearm without a CCW permit. You can carry an unloaded concealed firearm, but then you might as well carry a paperweight in your pocket. Carrying in a private vehicle. Any establishment that serves alcohol for consumption on the premises (i.e. a bar). It’s important to keep in mind that if you are going to any of these places, you can always leave your firearms in the car and not be considered to carry the firearms onto the property. 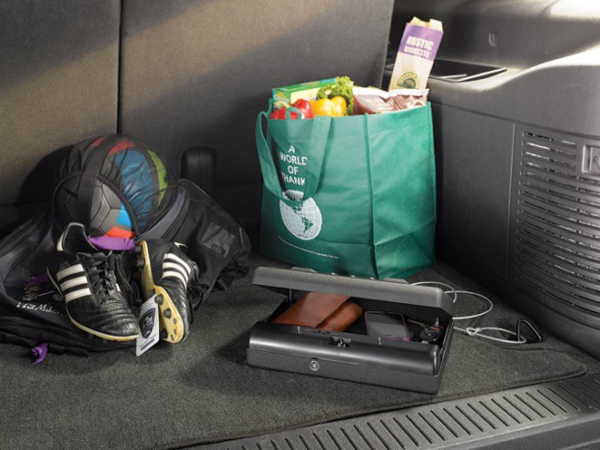 Leaving your guns in the car while you’re in a school parking lot is perfectly fine, but make sure the gun stays in the car gun safe when you get out to pick up your kid. Lock up that gun when you can’t bring it with you! While on the road, New Mexico has what is known as an “extended domain” law, which basically says that your vehicle is an “extension” of your home. Since you do not need a permit to carry openly or concealed in your home, you also don’t need a permit to do so while in your vehicle. Basically, you can transport your firearms however you want, loaded or unloaded, concealed or not. And even better, the definition of vehicles includes motorcycles, bicycles, ATVs, RVs, and even horses. At the range! But also in self-defense, if necessary. Many states throughout the US have laws enacting a “Castle Doctrine” or “Stand your ground” laws, which basically allow for self-defense to defend your castle, or let you stand and defend yourself without a duty to retreat from a threat. 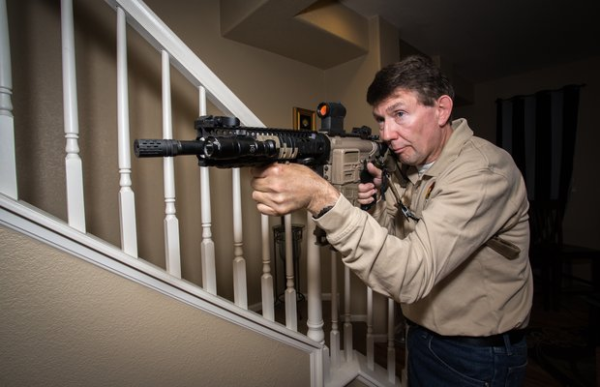 Unfortunately, New Mexico does not have any explicit “Castle Doctrine” or “stand your ground” laws on the books, so, it is usually a case-by-case basis when it comes to using deadly force to defend yourself. The New Mexico courts have said that “a man’s house is his castle”, and a person does not need to retreat when he is threatened with an attack. This should seem pretty clear-cut, but the problem is that since there are not laws on the issue of self-defense, but just decisions by the courts, it comes down to a jury to decide whether or not use of deadly force was justified. Basically, if you are being threatened with deadly force, you will most likely be justified in defending yourself by responding with equal deadly force. However, there’s no guarantee one way or the other since it is ultimately up to a jury. At the end of the day, you will have to use your best judgement to decide if deadly force is appropriate to defend yourself and your family. And with that, we’re done! With your newfound knowledge of the gun laws of New Mexico, you can start that new gun collection you’ve always wanted. Hope you’ve been saving up! And if you want to learn more about carrying concealed, our CCW section has you covered. Before you start your Glock collection, though, you might want a sturdy safe to keep all your new toys, and keep them away from prying eyes while you’re out of the house. If you’re just starting out, a basic gun cabinet, or even just a decent handgun safe may be all you need. Once your guns start multiplying, you’ll want the biggest safe you can afford! Now go out and pew pew!